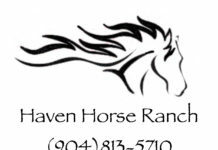 The Horse’s Mouth with Tom McManus is a unique talk show that’s a first of its kind in Jacksonville, FL. 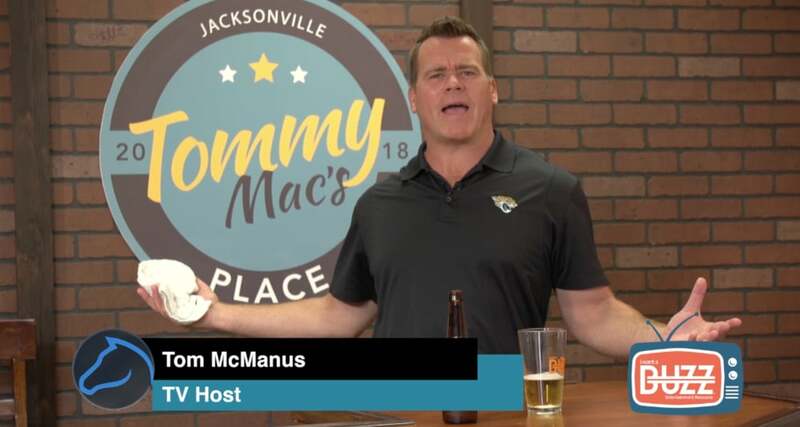 Tom McManus, former Jacksonville Jaguars linebacker and Horse’s Mouth host, and his guests will provide fresh takes on sports, business and life. The Horse’s Mouth – Season 1, EP13 from Buzz Media Group – BUZZ TV on Vimeo. 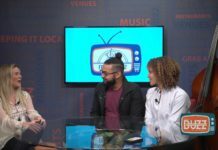 The Horse’s Mouth – Season 1, EP12 from Buzz Media Group – BUZZ TV on Vimeo. The Horse’s Mouth – Season 1, EP10 from Buzz Media Group – BUZZ TV on Vimeo. The Horse’s Mouth – Season 1, EP9 from Buzz Media Group – BUZZ TV on Vimeo. The Horse’s Mouth – Season 1, EP8 from Buzz Media Group – BUZZ TV on Vimeo. The Horse’s Mouth - Season 1, EP7 from Buzz Media Group - BUZZ TV on Vimeo. The Horse’s Mouth - Season 1, EP6 from Buzz Media Group - BUZZ TV on Vimeo. The Horse's Mouth - Season 1, EP5 from Buzz Media Group - BUZZ TV on Vimeo. The Horse´s Mouth - Season 1, EP3 from Buzz Media Group - BUZZ TV on Vimeo. The Horse´s Mouth - Season 1, EP4 from Buzz Media Group - BUZZ TV on Vimeo. The Horse´s Mouth - Season 1, EP2 from Buzz Media Group - BUZZ TV on Vimeo. The Horse´s Mouth - Season 1, EP1 from Buzz Media Group - BUZZ TV on Vimeo.